Simply put, a bankruptcy discharge is what wipes out your debt and gives you a fresh start. It also acts as a permanent injunction against creditors from coming after you to collect that debt. Any creditor violating the discharge injunction can be subjected to serious sanctions by the bankruptcy court. This discharge wipes out different kinds of debt, depending on the type of bankruptcy you file, and there are exceptions. Many debts are discharged in a chapter 13 because they have been paid, at least in part. This is not an exhaustive list, however, so you should consult with a bankruptcy lawyer to find out more. 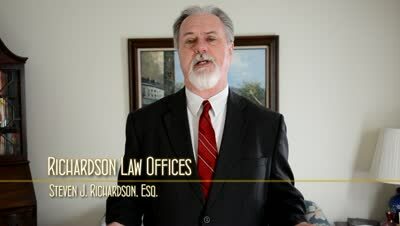 If you line in southern New Jersey, are thinking about bankruptcy, and have questions about whether a debt you have can be discharged in bankruptcy, please feel free to call me at 856-432-4113 or contact me through this site for a free consultation in my Woodbury office to discuss your case. Can bankruptcy wipe out New Jersey motor vehicle surcharges? Can bankruptcy discharge traffic court fines? ?How fast can I file bankruptcy in New Jersey? ?Can a NJ bankruptcy help me with my Western Sky loan?